While you may suspect that coffee has it’s own handful of benefits, there’s one surprising bonus to indulging in a regular cup of Joe that may really surprise you – it’s strong detoxification abilities. Coffee enemas and cleanses are a rising trend among health nuts everywhere, and it turns out that they really are the real deal – and a vital part of your essential health, as well as a great way to jumpstart any weight loss you may be attempting. So how do coffee enemas work? When a coffee enema is first used, the caffeine from the actual coffee is first absorbed into your intestines and system, and heads directly to the liver. From here, it starts to detox your entire system. This makes your liver actually produce more bile – which may sound unhealthy, but it actually is. Your bile contains processed toxins, and your liver then pushes our the bile towards your small intestine so it can be eliminated. Since your liver is now free of processing bile, it is able to instead focus on processing and breaking down different toxic materials, build-up and waste that may be in your tissues, blood and organs. 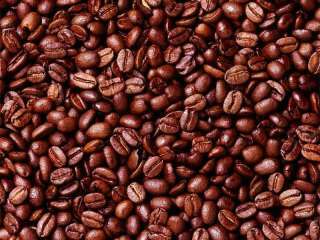 Coffee is also chock-full of healthy alkaloids which can help create a special enzyme which is needed by the liver to help your body detox naturally – making coffee enemas and cleanses a much more healthy and natural way of cleansing your body. A coffee enema speeds up your body’s natural detoxification process. Start the process by pouring 1 quart of the clean, uncontaminated water into a pan, and then boiling it. From here, add two level tablespoons of coffee into the pot, and let it sit for five minutes or so. After, turn off the oven, but let the pan continue to simmer on the heated burner. After it’s cooled down, and is at a lukewarm, body temperature, bring your pot or pan, along with a towel or some newspapers in case of spillage. Transfer the coffee mixture into the enema bucket, without getting coffee grounds inside. From here, put your enema bag into the sink, keeping the catheter closed. Pouring the coffee into the enema bag, loosen up the clamp to let to coffee run into the catheter, and reposition the clamp when the air is out of the enema tubes. Take a coat hanger, hanging the enema bag two feet above the floor, on something to keep it study. The bucket can rest on a chair, drawer, or you can hold it. Lying down on the floor, or your right side, insert the catheter- feel free to use any kind of lubrication, but avoid petroleum-based products. Release the clamp, and allow the first half of the mixture to flow inside. Clamp it off as soon as you feel any pain – hold it in for upwards of 12 minutes. The longer it’s in, the more you’ll clean the colon. Repeat with the remaining mixture.